Awesome! I've always wanted to go there! I'm from CO and never made it down there.... one day! 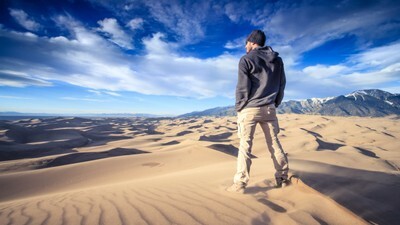 I like how your pants blend with the sand and your jacket goes with the sky colors and shadows.